Minto State Cup was held at the Minto Indoor Sports Centre on 29th and 30th March. There were 4 UTS teams that made the drive down the M5. Updates below as they come in. Also Well done to the UTS players who played in the NSW U23’s Team on winning the women’s Honours Division in the State Cup… Anna, Missy, Lily, Gemma, Carrie. You have done us proud. In Men’s Honours, UTS was represented by a mixture of players from the White & Black teams. A hybrid of sorts. You could therefore say that this team was Whack, ya’ll. A total of 6 games across the weekend meant a total of 6 hours of hard-fought volleyball. It also meant a total of 6 hours where Steve ‘Fight Club’ Lee had to wear a shirt. When all was said and done, the guys came away with a silver medal, after losing to Westside in a tight final that went to the deciding 3rd set. · Nathan created endless one-on-one opportunities for the other spikers by drawing his opposing middle blocker every time he jumped; all the more remarkable given that he only received 3 sets over the whole weekend. And they were in the warm-up! When asked how it felt to be back playing after the off-season, Nathan was quoted as saying “I don’t like volleyball… Oh no… I Lovett”. · Felipe “serving specialist” Toledo entered into an epic battle of wits against Coach Alberto Flamingo. Felipe was determined to try and hit the back wall on every serve attempt, so after five consecutive errors, Alberto tried to trick Felipe by telling him to serve from further back. Not to be deterred from his goal, Felipe proceeded to serve the ball even harder to counteract Alberto’s tactic, with the same result: an error. But Alberto had an ‘ace’ up his sleeve – Igor “super sub” Mileusnic. However, Igor was in on Felipe’s act and proceeded to serve the ball into the net. Alberto couldn’t stand it anymore, so literally tore his hair out. This is why he is bald. · Dan “Neo” Gauci attempted to go matrix styles when receiving a jump serve that was going long, but was a little slow and so looked embarrassed after the ball hit him on the chest on the way through. · Setting duties across the two days were shared by Andrea (the new Frenchie) and Keith “UTS till I die” Suckling. Both provided delicious sets for the hitters all weekend and Sucky even managed to win a joust in the final against a guy twice his height and half his age. 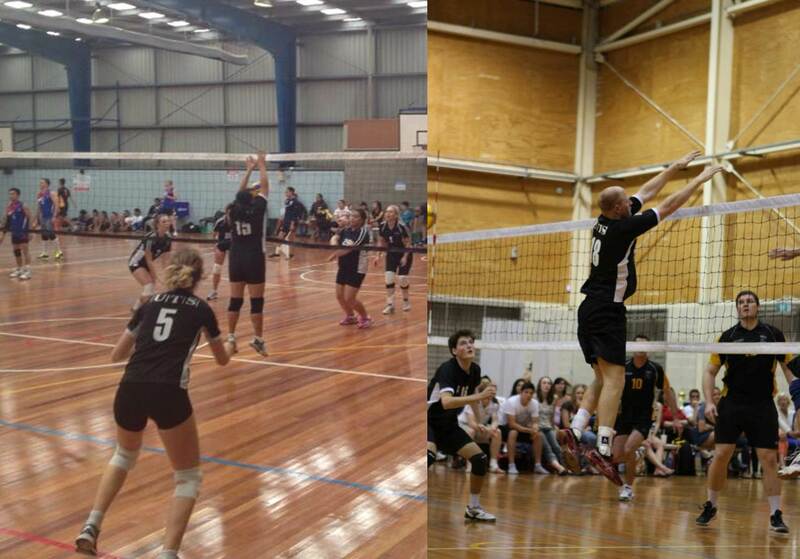 · Similarly, two liberos were used, with Jason “PDA” Laffer playing Saturday and Andrew “SAY SOMETHING” Lyall stepping in on Sunday, who did his best to convince the ref that the ball was out, despite everyone in Minto having seen the ball land in the court. · Early on Saturday morning, someone was heard asking a question that has never before been asked: “Hey Jeff – where’s your brother Doug?” When Doug finally did arrive, he realised that he’d brought the wrong shirt and so had to play for Westside. At least they were nice enough to let him play his preferred position of libero. · Gregor finished runner-up in the coveted SVNSW arm-wrestling competition, whilst Rob managed to falcon the champ, Rowda, in the UTS vs Sydney Uni clash. · Sam “I heart middle” Morrison was solid as ever, whilst Alex “Guinness” Gibbons’ tournament was rather short lived, after pulling out with a back injury after the first game. All in all, it was a reasonable start to the season, with some flashes of sublime volleyball interspersed between some trademark UTS sloppiness. The boys look forward to the next tournament. 3 wins, 1 draw, a golden point loss in the semi, and winning the bronze in 3. A good weekend all in all for the first Div1 women. Thanks to some help from Clara and the UTS Cougars over the weekend we also had a sub occasionally as well which was good. Strong 3 zero wins against Endeavor and Eagles, and a solid 2:0 win against Central Coast, plus a draw against fellow finalists Manly left us with a difficult semi final assignment against UNSW. 1 all and 43 points each at the end of regulation left us with golden point. Which we lost. We picked ourselves up and went into the bronze medal game and after winning the first set, preceded to lose the second. Thankfully we took some momentum into the the third, and eventually came out winners. After long waiting (4hrs) from 1st game, we played the UNSW(Gold-Silver Finalist team) and lost by 21:25 at 1st set – Not bad at all, in fact I think we did pretty well, good communication, help each other out on rotation and good defense under the strong attacks by UNSW, but got trashed at 2nd set. – Lost to UNSW. EOD game against NSW u17’S –Our dear Coach (Deb!! You left us >_<””) went to coaching our opponent (NSW U17’s) , lucky we still have Jess & Clara (mainly observing) to coach/help us; after another 3hrs waiting, everyone was itching for the game, we started well and trashed U17’s on the 1st set with good serves, Spiking (from Kim) good communication everybody was calling and chasing the ball!! On the 2nd set, somehow we lost the tempo, few serving errors, mis-communication, few confusion on the court. Also lost quite a few points on SHORT serves from U17 girl (especially Jess was yelling outside the court: SHORT server! SHORT!! SHORT!! Come closer!!! Many many times. But we still not ready and not come closer enough for the SHORT……Sorry Jess!). I guess we were just too excited from the 1st set. We lost the 2nd set badly. – The game ended in a draw. Day2 – Game with Endeavour, Verena decided to join us as her little feet felt better, which free up Jo from just setting to attacking which gain few points for the team. Everything was fine at the beginning. But after 1st timeout, we were struggling with Endeavour’s Back-court attacking, and all the way to end of the game. Team wasn’t used to defending on back-court attack. It’s was a good game, good experience. – We Lost the game. Important point to take away from this weekend, 1st Listen to your coach. 2nd Communication is essential – talking to each other. 3rd Don’t get too relax or nervous because of winning or losing a set/game. Keep Focus! Highlight of the weekend. Good serving from Jo and Lisa, great setting and tipping from Jo and Verena, Attacker of the weekend –Kim, some good defense and passes from everyone and our Libros – Ilk & Ali. Everyone have good time and we all learnt something more about indoor volleyball. Way to go Girls!! . We are the diamond in the rough!! Aren’t we!? Deb & Jess!! Lol~ Special thanks for the amazing Setter – Jo Kelly!!! Thank you for setting for us and the help out with rotation on the court. We would love to keep you forever!!!! Congratulations to Nikki Laird for receiving the Renault National Beach Volleyball Series Best Blocker Award. You are currently browsing the UTSVC blog archives for March, 2014.